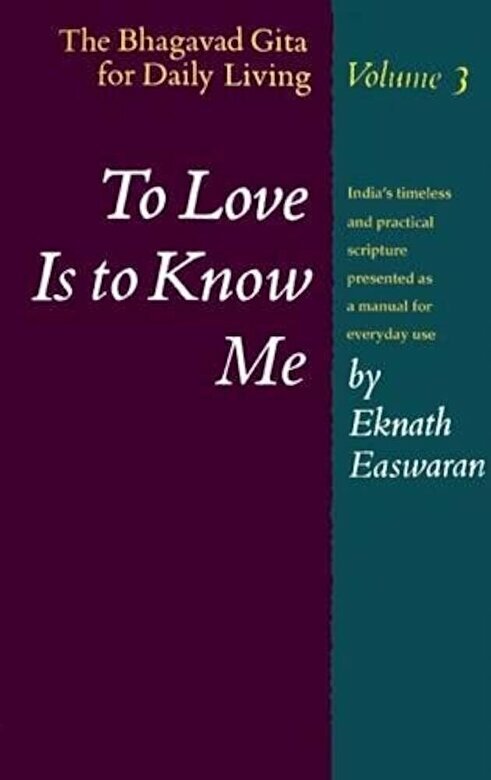 PrezentareEknath Easwaran's translation of The Bhagavad Gita is the best-selling English edition in the US, and The Bhagavad Gita for Daily Living is his verse-by-verse commentary. Full of examples, stories, humor, and practical spiritual exercises, it brings the Gita's teachings into our own lives. Each volume of this set covers six chapters of the Gita, and can be read on its own. The three volumes together form a comprehensive manual for living a spiritual life. Easwaran was a professor of English literature and taught meditation and spiritual living for 40 years. He is an authority on world mysticism, and lived what he taught, giving him lasting appeal as a spiritual teacher and an author of deep insight and warmth. This third volume in a three-volume set covers chapters 13-18 of the Gita, and concentrates on the relationship between the Self within and the supreme reality which underlies all creation. Global in scope, the emphasis is on what you can do to make a difference in the world.